One of the biggest fears that people have with public speaking in general is the challenge of an interruption. After all, how should you manage an interruption during your speech? So, it really is a big issue. But, fortunately there are things that you can do. Yes, the scenarios are all different. Because you will need to manage a medical emergency in your audience in an entirely different way to a heckler or even a genuine question from an audience member. 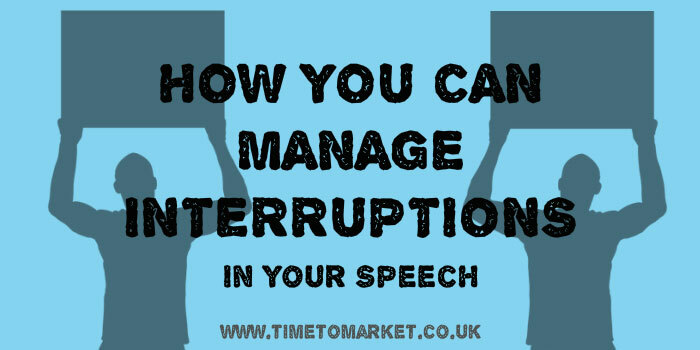 So, this video aims to help you out with some best practice tips for how to manage interruptions in a speech. Be prepared for hecklers, questions, and emergencies. So, aim to be polite, yet firm with hecklers. Make sure that you focus fully on a question that’s asked of you. Ensure that you know the drill when it comes to how to manage a medical interruption. Your audience will expect will expect you to know how to handle hecklers, questions and other interruptions during your speech. So, it’s vital that you prepare yourself beforehand. Because you don’t want to disappoint your audience with something that’s really quite simple.